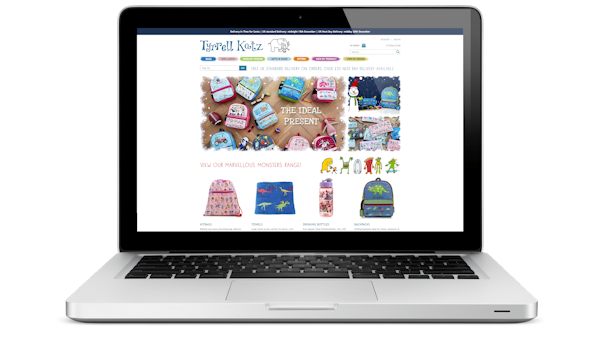 Tyrrell Katz create fun, engaging and high-quality kids accessories and have been doing so over 20 years. Their distinctive designs can be found in stores across the world. 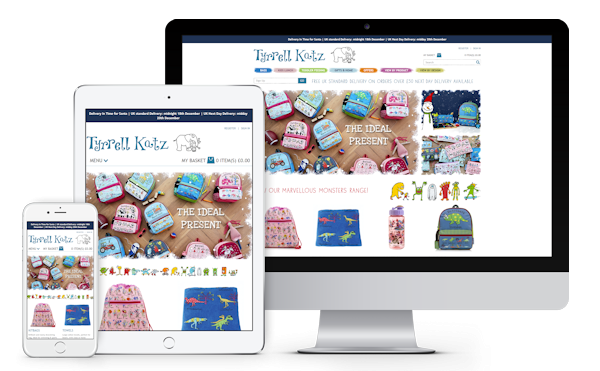 We work with Tyrell Katz on an ongoing development support basis, undertaking UX projects, building custom functionality, improving marketing activity response, growing audience & boosting conversion rates. This website was built with Magento Community Edition with multiple store view to support additional sub brands & marketing activity. During our time working together, we have implemented a much improved checkout workflow, mobile UX improvements, patching, fixing legacy code issues, Mailchimp integration and much more.